This Winter seems colder than it has been in the last few years, and with more rain and storms. I've noticed many of the plants in the garden have grown more this year, probably because of the rain. And yet there's still been a fair share of sunny winter days. 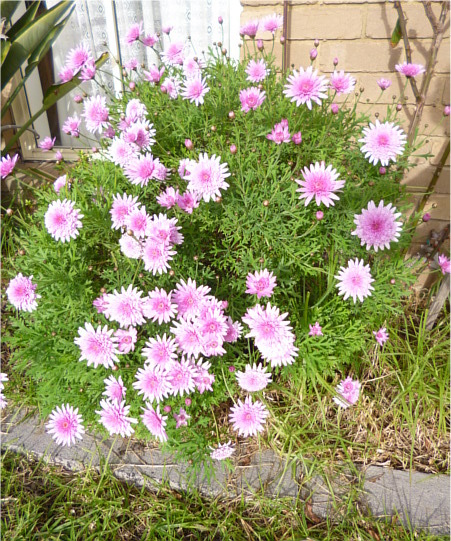 The daisies are still flowering and show no sign of letting up. It seems like they're blooming for even longer this year than last year. 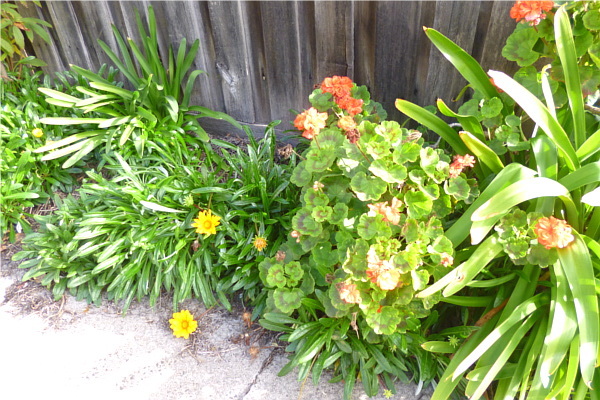 These plants next to the driveway are doing very well, too. They've finally recovered completely after I ran over them with the car ahem, something obstructed their growth for a while. The orange tree is merrily growing Winter oranges. Almost all of them are ripe now; Husband and I have been juicing them for drinks. 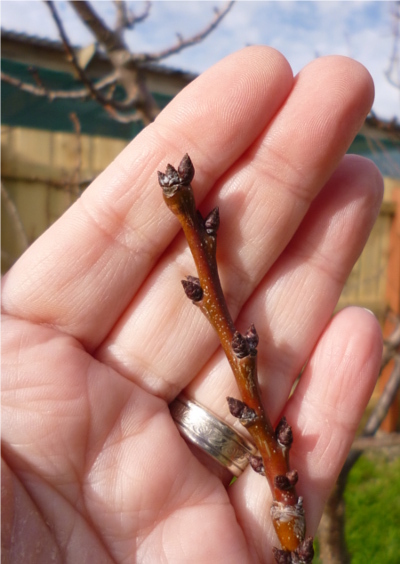 Speaking of fruit, the stone fruits all have tiny brown buds waiting for warmer weather to burst into life. 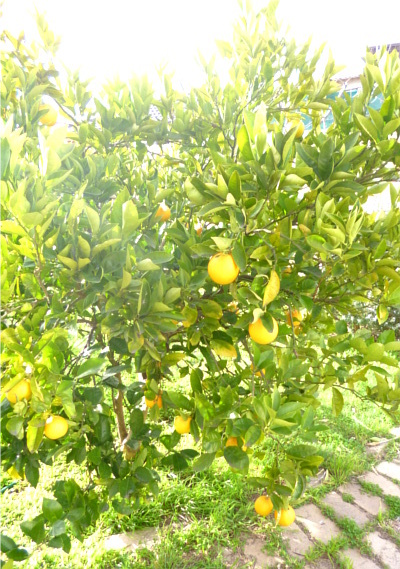 I like to linger among them, imagining the beautiful fruits that will appear in a few months. 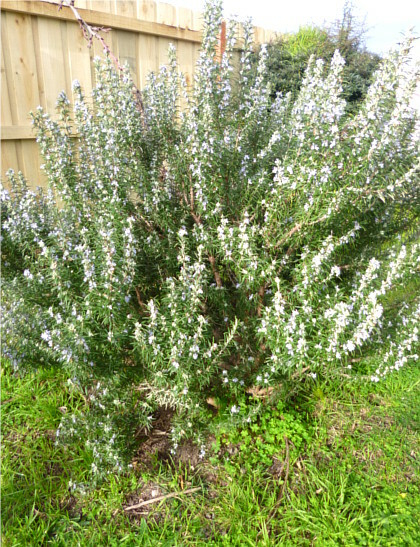 The Rosemary has grown to nearly twice its size in the last year. Unfortunately Husband doesn't really like rosemary in cooking, but I read yesterday that the flowers can be eaten. They have the same flavour as the leaves, just a little milder. It will definitely be something to try -- how beautiful would the lavender-coloured blooms look garnishing a roast? I might try drying the leaves and powdering them as well. 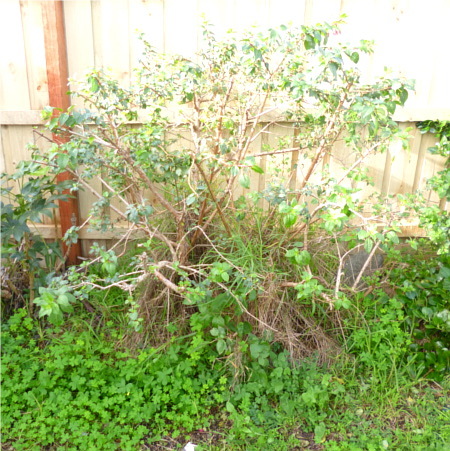 Also in the backyard, I've heavily pruned the fuchsia. 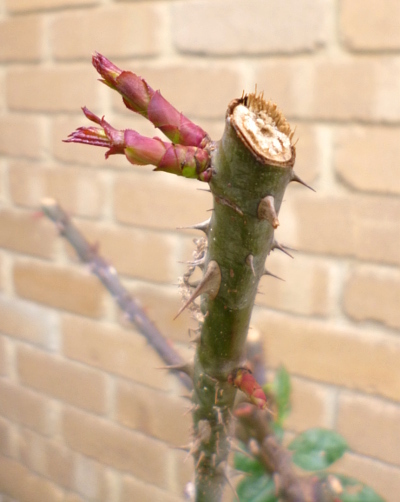 It's been looking very straggly in the last year, and after waiting what seemed like an inordinate amount of time for the shrub to stop flowering, I was finally able to prune it. I do hope it does well, as I recently found out that the berries are edible and can be made into jam. I'd love to try that in future. 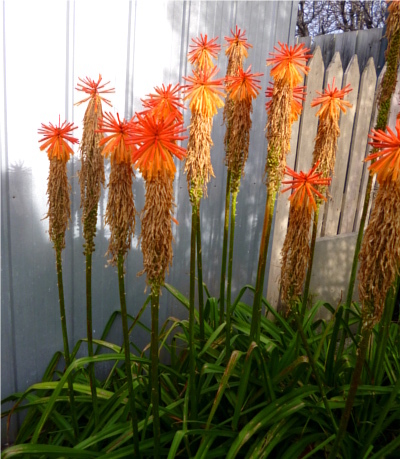 The Red Hot Poker has put on a stunning show, but the stems are finally dying down. So many times I've thought of digging them out, as Husband and I want to put in a veggie patch in this area. But at the same time: if something is growing so well, it's difficult to reason. The fernery is my joy as it's always been. 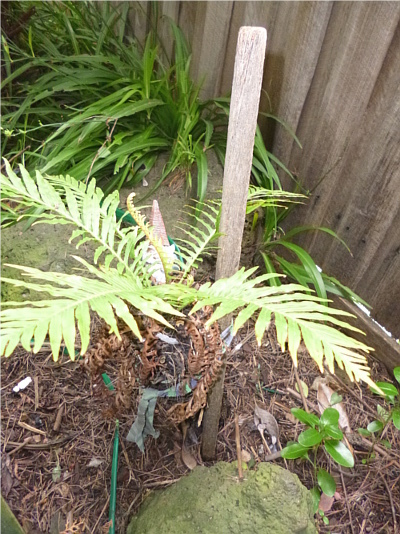 The little fern survived last Summer better than previously, although it started to lean so I had to prop it up with a stake. 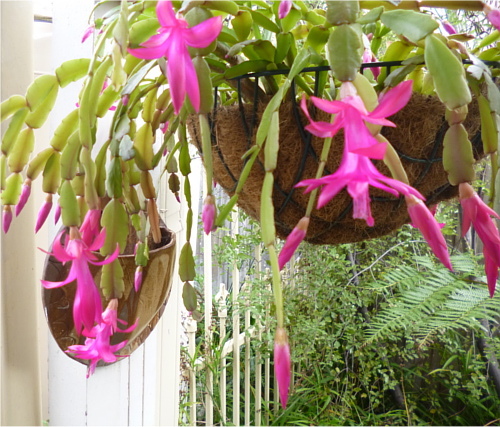 Finally, the Schlumbergera Winter Cactus has burst forth with these incredible neon pink flowers. I can put up with it looking a little yellow in Summer when it boosts my Winter with this reward. I'm starting to develop some concrete plans for my garden as a whole. It will be a lot of work to set up initially (not to mention the financials), but I really want to get it to a point where I can enjoy spending time outside at all times of year. I'll write more about that in a future post.